Track A1 to B4 published by Magan Music Publishing. Track B5 "FanFanFan" is marked as a bonus track and published by BMG Rights Management. Track B3 "The Secret Germany" is dedicated to Paul Celan via the track title ("(For Paul Celan)"). 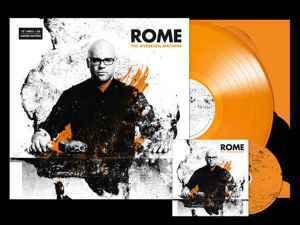 Limited to 500 copies in orange Vinyl. Only USA Edition. Track B5 "FanFanFan" originally appears on "Thåström - Skebokvarnsv. 209".